Find out all that's going on in Karakol. Curating all the best events going on in Karakol and Kyrgyzstan for you, so you never run out of fun things to do in town to make the most of your visit. Keep checking back for new updates! Be sure to also check out the festivals and events happening in Jyrgalan, South Shore of Lake Issyk-Kul, Osh and Naryn. 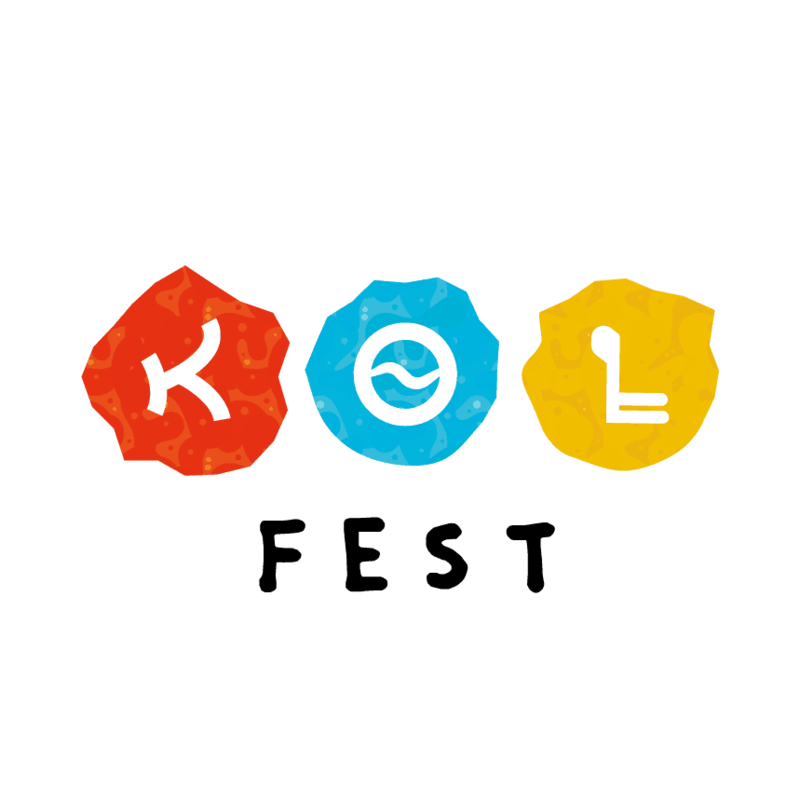 Kөl-Fest is Central Asia’s first Global Music and Arts festival, bringing together people, music and creative arts from Asia and beyond. The theme of the Festival is “INTERACTION & DIVERSITY”, providing a space for participants and artists to celebrate creativity and let their artistic energy flow through music, performances, installations and interactions. This is one of the biggest festivals in South Shore. Think of this event like a mini World Nomad Games. 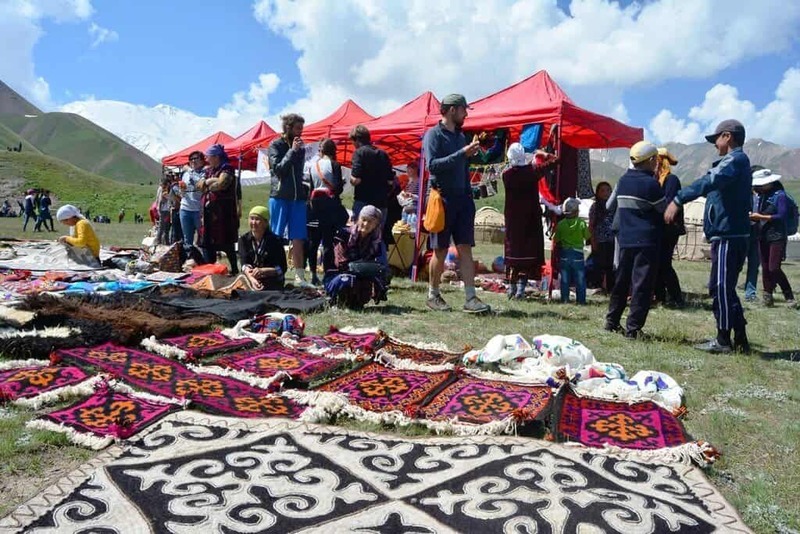 You’ll be able to enjoy Salbuurun, Kok Boru and other traditional horse games, yurt building competitions, shyrdak and other traditional handicrafts demonstrations, traditional Kyrgyz food exhibitions, souvenir shopping and more during three days. Certainly not to be missed! The event will be held on July 15, 16, 17 2019 on the South Shore of Lake Issyk-Kul, Kyrgyzstan. The place and the exact starting time including program will be uploaded here soon. Karakol night ethno-festival – July 2019 – demonstration of diversity and rich cultural heritage of the Kyrgyz people; show the guests of the city the beauty and splendor of national costumes, reflecting the history and originality of the Kyrgyz; Call for unity the peoples living in the Issyk-Kul region and throughout Kyrgyzstan. Note: The event will be held on July 2019 on Main Square of Karakol city, Kyrgyzstan. The exact date and agenda will uploaded here as soon as possible. Cultural festival in Sary-Mogol devoted to diversity and rich cultural heritage of the Kyrgyz people. On this event you will see the beauty and splendor of national costumes, national food and traditional games. This popular annual festival organized by CBT Bokonbaevo takes place at Manzhyly-Ata about 20 minutes into the hills from Bokonbaevo. The festival is based on the concept of “tradition for the future.” The festival program includes: exhibition of hunting birds (e.g., golden eagles, falcons, etc. ), traditional horse games, folklore dancing and music, yurt construction, and exhibitions by local artisans. The event will be held on August 4, 2019 on the South Shore of Lake Issyk-Kul, Kyrgyzstan near Bokonbaevo village. The place and the exact starting time including program will be uploaded here soon. 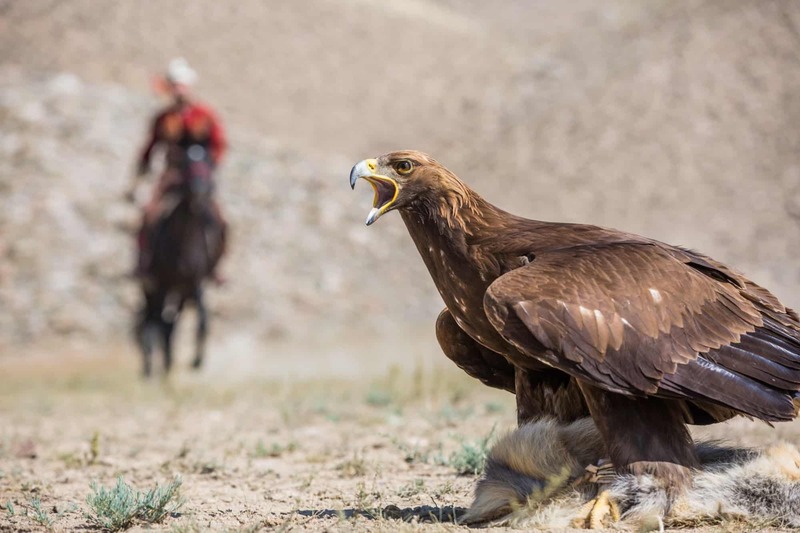 The main focus of the Salbuurun Festival is, of course, demonstrations of the different elements of traditional Kyrgyz hunting: archery and hunting with golden eagles and taigans (Kyrgyz hunting dogs). 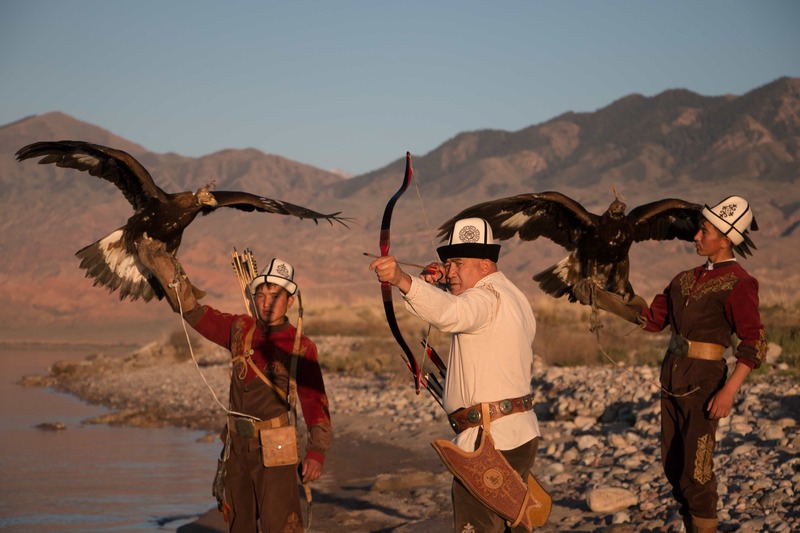 The main focus of the Salbuurun Festival is, of course, demonstrations of the different elements of traditional Kyrgyz hunting: archery and hunting with golden eagles and taigans (Kyrgyz hunting dogs). You’ll also have an opportunity to see other traditional nomadic horse games like Tyiyin Enmei, Kyz-kuumai, and Kok Boru. And, like any good Kyrgyz festival there will be music, food and lots of yurts. The event will be held on August 16-17, 2019 on the South Shore of Lake Issyk-Kul, Kyrgyzstan near Bokonbaevo village. The place and the exact starting time including program will be uploaded here soon. 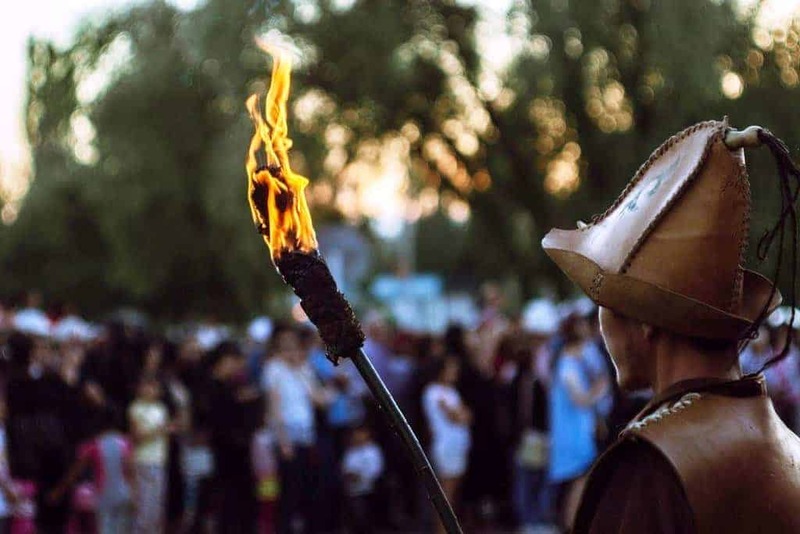 Join locals and other travelers on Osh-Fest on August 17, 2019. 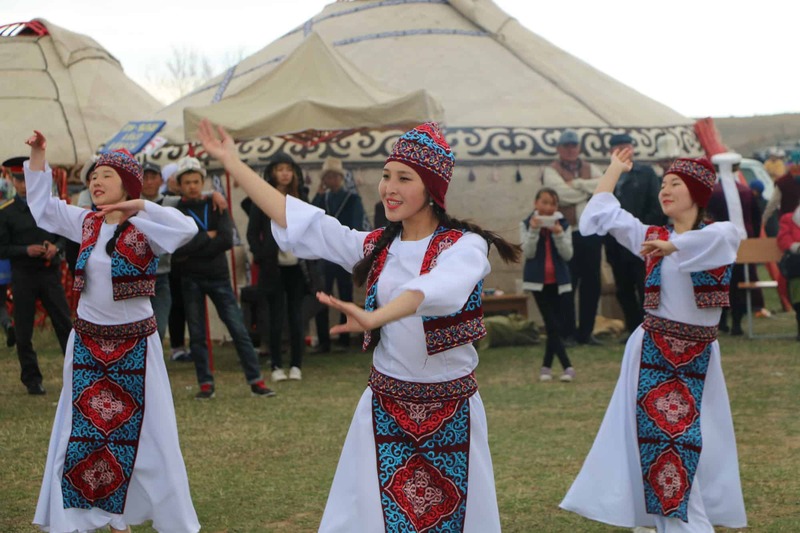 During the event, you will get acquainted with the exhibition of national and applied art, cooking, a demonstration of the national customs and traditions of the Kyrgyz people, which had been preserved for centuries in people’s memory, will be organized. The program of the Festival includes national music, dances, songs, master classes in crafts also culinary shows on cooking traditional local dishes of Osh city. The event will be held on August 17, 2019 in the city of Osh, Kyrgyzstan. The place and the exact starting time including program will be uploaded here soon.